The first ever TFN Bucket List I've launched last year was successful. 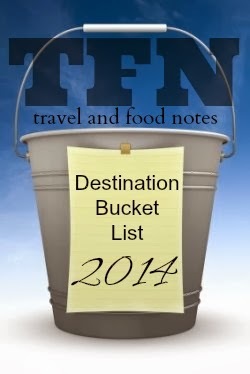 TFN Bucket List 2013 has 6 items in it, 4 items were accomplished and 2 were not. Bantayan and Camotes Islands are the two items that were not accomplished. The plan is to visit the two islands in the last quarter of 2013 but there's an unfortunate event that happen also in the last quarter of the year. A strong earth quake hit Bohol in the middle of October and also reaches Cebu making after shocks for more than a month if I'm not mistaken. Worst came to worst, by the end of November, a super typhoon hit Central Visayas and considered to be the strongest typhoon ever. The super typhoon made a very big damage to Bantayan and Camotes Islands so the planned visit was cancelled. These will be carried over in this year's bucket list. Looking forward to see these 2 beautiful islands in this year's bucket list. TFN Bucket List 2014 will be composed of 6 items including Bantayan and Cmotes Islands. The bucket list will still focus on Cebu travel spots and activities. The list may increase depending on my planned travels and activities. I'll be updating this post from time to time or as I accomplished the items on the list. #1.  Osmeña Peak » accomplished, 22 Feb '14 » Read it here! A favorite trekking spot in Cebu located in Dalaguete on the Southern part of Cebu. This will be my first trekking adventure. This spring is also situated in Dalaguete, I guess I'll have to stop over after my first ever trekking in Osmeña Peak. Gotta try this cold water spring that is very near to the sea. This is not a very known resort in Cebu because of it's location. Situated in Badian, Cebu, this resort is a must visit place if your in Badian. The place is just simple but the scenery of nature will make you awe. Situated also in Badian in the Southern part of Cebu, this is actually near the World Big 4 Resort so I'll stop over hitting 2 items at once. Heheheh! 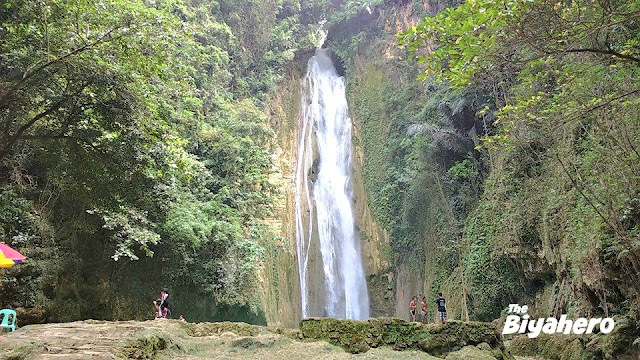 The falls is located in the town of Samboan. A lot says that the place is amazing so I want to see it myself. Located in Toledo City, this inland resort really makes me excited. ^^ Just really want to go there. Soon! Suggestions are also open if you know some place beautiful and worth the travel and time that I might add to the list. I'll definitely appreciate it. Thanks for dropping by!